Lossie Adkison Glover is a graduate of Fort Valley State University where she attained B.S. and Master Degrees. She obtained a Specialist Degree from Troy State University in 1977. She is a retired educator with 30 yrs of service and also a certified counselor with the state of Georgia. She became a licensed Funeral Director in 1968 and served with her late husband Bobby E.Glover in the business which they both initiated in 1971. Since 2011, Lossie has served as Co-owner, Funeral Director-in-Full-Continuous Charge and Managing Member/CEO of Glover Mortuary, LLC. Lossie is a member of several civic and community organizations. She organized the first grief support group for African Americans known as “The Butterfly Hope Ministry”. She is a member of New HopeBaptist Church in Perry and is the mother of two sons, Vincent and Eric Glover. She was the wife of Bobby E. Glover for 48 years. She currently handles the day-to-day operation and activities at the mortuary. Eric Glover is a 1984 graduate of Perry High School. After high school Eric attended and graduated from S.D. Bishop College in Mobile, AL. receiving a degree in Applied Science with a specialization in Mortuary Science. Eric currently works as a Licensed Funeral Director and Trade Embalmer. Eric is a member of the Georgia Funeral Service Practitioners Association and has served as past Vice President. Eric is married to the former Shetanda Rawls and they have a beautiful daughter Reagyn Glover. Vincent E. Glover,Sr. Assistant Manager/Partner, Licensed Funeral Director/Embalmer and Pre-Planning Specialist at Bobby E. Glover Mortuary. Vincent is a lifelong native of Perry, Ga.. Vincent is the oldest son of Bobby and Lossie Atkinson Glover. A member of the Union Grove Missionary Baptist Church, Warner Robins, Ga. 1982 graduate of Perry High School, 1988 graduate of Central Texas College. 2015 Graduate of Ogeechee Technical College in Funeral Service Education. 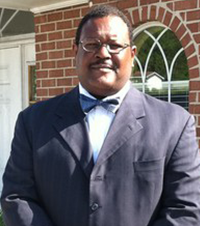 Vincent E. Glover, Sr. is a Graduate Mortician, Licensed Funeral Director, Licensed Embalmer, Licensed Insurance Agent and LegalShield Advisor. Vincent has been a Agent and Advisor for 30 years. Married to the former Hope Whitehead of Unadilla, Ga. and have four children- Sharas D. Glover, Bria N. Glover , Amaris E. Glover and Vincent E. Glover, Jr. Six grandchildren-Tyler, Cameron, Erin, Jordan, Dalen, and Laiyah. Owner of Benefits For Seniors, LLC a full service insurance agency and Regional Sales Manager for Senior Life Insurance Company. US Army Veteran serving one tour in South Korea. Shirley Canady Ellis is a graduate of Fort Valley State University where she attained a B.S. Degree in Criminal Justice in 1981. She obtained a Masters Degree in Business Logistics from Georgia College and State University in 1994. She retired as a Rotary Wing Flight Chief from Robins AFB after over 29 years of service. Upon retiring, she later assumed the position of part-time Receptionist and Secretary of Glover Mortuary, LLC. 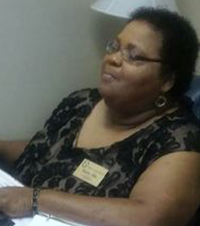 Shirley is an active member of ‘The Butterfly Hope Ministry” and “The Pride of Fort Valley O.E.S. Chapter #480. She is also a member of the Springfield Missionary Baptist Church in Warner Robins. She co-parents two adult daughters and four adult sons with her husband Otis L. Ellis.